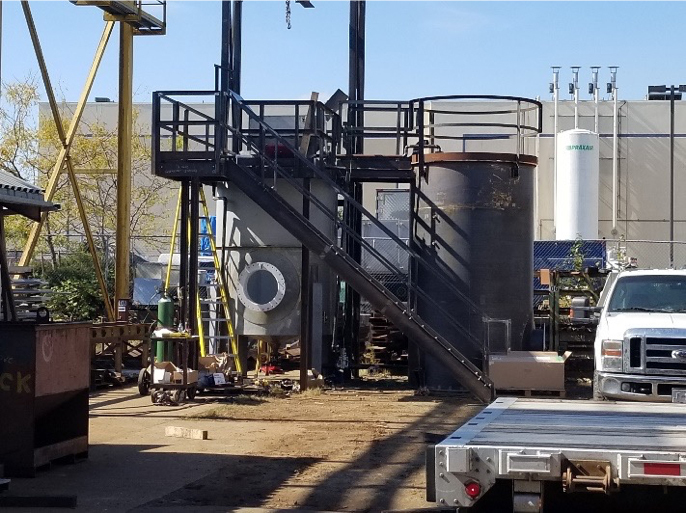 Zeroday chemical systems partner Mainland Machinery has shipped a large PAX (potassium amyl xanthate) mixing-feed system to a Caribbean flotation mill. Based on Zeroday’s Vale Thompson Manitoba mill PAX mixing system design, this system additionally incorporates a day tank with transfer and dosing pumps. The Zeroday-Mainland Machinery partnership supplies optimum mixing and feeding system designs for explosive gas generating chemicals including xanthates, sodium sulfide (Na2S) and sodium metabisulfite (MBS – Na2S2O5). These are rigorously designed and built to maximize health and safety conditions and meet code requirements. Mainland has engineering offices and fabrication shops in Abbottsford, BC Canada.